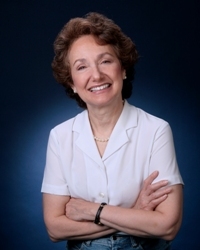 June Trop Zuckerman has had over 40 years of experience as an award-winning teacher and educator, approximately half of those years as a middle and high school science teacher and half as a professor of secondary education. Over the years, she has conducted countless classes and seminars for and about novice teachers and coached scores of them in their own classroom to improve their management skills. With an EdD in science education from Teachers College, Zuckerman has focused her recent research on the mentoring of novice teachers, their classroom management strategies, and the practical knowledge they construct and communicate through storytelling. Her papers on these topics have appeared regularly in the Journal of Science Teacher Education, Science Educator, and American Secondary Education. Now associate professor emerita at the State University of New York at New Paltz, she uses her extensive theoretical and practical knowledge of pedagogy to speak to and coach teachers at colleges and secondary schools in the region.